WEATHER UPDATE: To ensure the safety of all, this program is being rescheduled for a future date, to be determined. Join Delhom Service League at the first program of The Ceramics Series – a lecture followed by a tapas lunch. This lecture will highlight the career of Joseph S. Mayer (1846–1907), proprietor of the Arsenal Pottery—a firm that manufactured majolica longer than any other American maker. The New Jersey man was a practical potter and inventor. 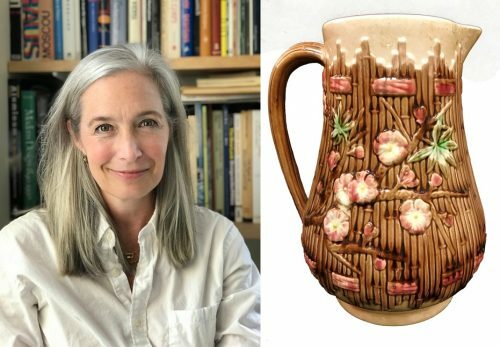 Dr. Microulis will contextualize Mayer’s majolica designs and explore themes of middle-class taste, domesticity, and nineteenth-century popular culture. Typically molded into fanciful shapes with naturalistic ornament and decorated with colorful lead-based glazes, majolica was designed to satisfy Victorian consumers’ desire for novelty, eclecticism, and aesthetic whimsy. Program will be followed by a social time and lunch. Lunch seating is limited. Reservations are made by payment of $10 per person, by 5:00 PM, Friday, September 14 . Registration for the program is free. Lunch is $10.